Joe Capobianco is a accomplished Tattooer, and Fine Artist. For the past 24 years Joe has utilized various techniques and mediums in order to create some of the most fascinating pinup style pieces, resembling those of the late 1950s with an added modern flair. Known as the "Capo Gal", His use of color, and over all drawing style has created a style that both stands out, and is nearly immediately recognizable as all his own. Joe opened Hope Gallery in New Haven, CT in 2003 and has since released 6 books, 2 full length DVDs, his own custom "Brickhouse" coil tattoo machine, the "Betty" rotary tattoo machine, a series of Easy Glow Tattoo Pigments, a limited edition vinyl toy, and countless prints and original works. He's traveled the globe plying his trade, and displaying his art. 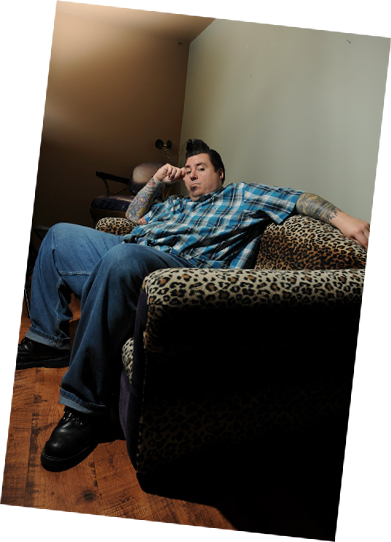 Joe was also the head judge on Oxygen Networks hit TV show - BEST INK.